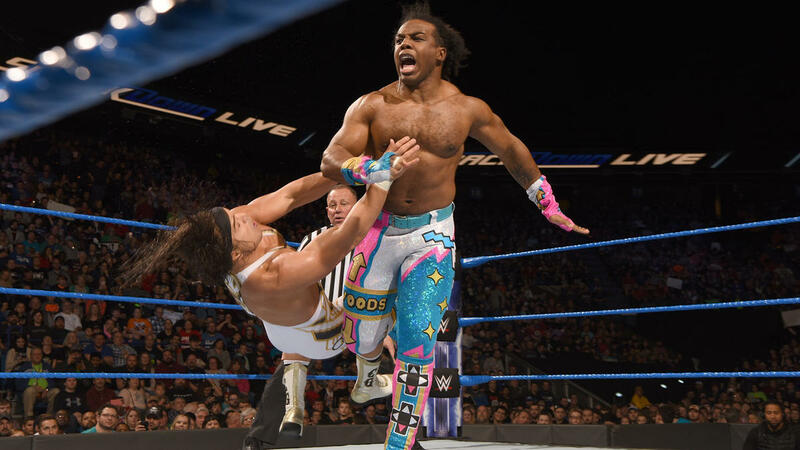 Charismatic member of The New Day and trombone extraordinaire Xavier Woods has his sights set on solo competition now. After being a part of the longest-reigning tag team champions in WWE history, and one of the best tag teams of the current era, the four-time champion is briefly stepping aside from his trio to become a champion in single’s competition. At Clash of Champions, Dolph Ziggler defeated Baron Corbin and Bobby Roode to become United States Champion for the second time. Then, shockingly, he came to the ring on the following episode of SmackDown Live and started showing his list of accolades, while informing the audience that they do not respect his merits. He then proceeded to lay the U.S. Championship down and walk out of the ring and the arena. As a result, Commissioner Daniel Bryan announced that there will be a U.S. Title tournament to determine the new champion. On the previous episode of SmackDown Live, two qualifying matches occurred as Bobby Roode defeated Baron Corbin and Jinder Mahal defeated Tye Dillinger. WWE has recently revealed the brackets of the tournament, and there are some unexpected names on there. One of those names is Xavier Woods, who has not been a single’s competitor in quite some time. Despite this, WWE is capitalizing on his popularity as a member of The New Day, and Woods is quite happy with the decision. Woods commented on the announcement, admitting that he did not even know he was in the bracket. As seen in the video, there seems to be no form of jealousy from his stablemates, Kofi Kingston and Big E, as they were celebrating with him in the car when he found out he was in the tournament. Here is how the participants will be competing. As seen above, other names in the tournament outside of the matches that already occurred are Zack Ryder, Mojo Rawley, and Aiden English. It is quite interesting that the uber-popular Rusev is not a part of the tournament, especially since he has already been champion on two occasions so far. Perhaps, other than Ryder and Corbin – who are former U.S. Champions – WWE chose to freshen things up and choose people who have not experienced being U.S. Champ before. Based on remarks from Woods’ opponent, Aiden English, it appears as if the finals will be held at the Royal Rumble on January 28.